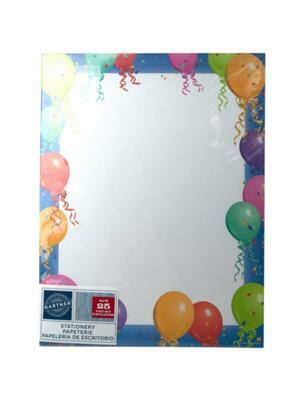 Nothing says happy birthday like this Balloon Border Stationery Paper. You may use it as to make your invitation or birthday announcement. It comes packaged in a hanging poly bag with 25 sheets. The sheets are 11" x 8.50 in size.